All of us have grown up hearing the stories of the historic Appalachian Trail, and the movie Wild made the Pacific Crest Trail saturated with section and through hikers. So BUSHMAN EXPEDITION OUTFITTERS wanted to know where an adventurous trekker goes to find truly untamed wilderness, we found our answer skirting the northwest border of the United States and Canada. 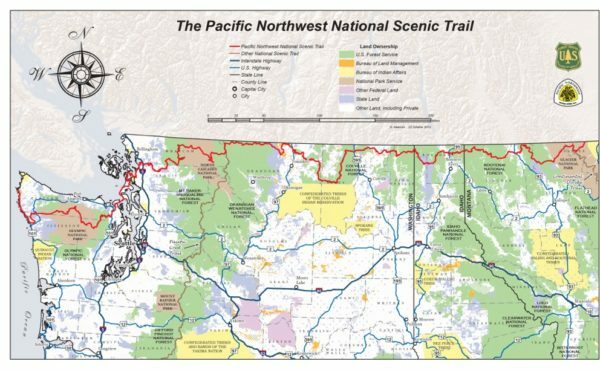 Lace up your hiking boots, crab your backpack and bear spray, the 1,200 mile Pacific Northwest Trail from Glacier National Park to the Washington Coast maybe the last wild national trail. In 2015 U.S. Secretary of Agriculture Tom Vilsack announced the formation of an advisory panel that will recommend the final corridor of the trail. According to the Pacific Northwest Trail Association, the rugged trail is not for the beginning hiker. The route will take adventurers over the Rocky Mountains, Selkirk Mountains, Pasayten Wilderness, North Cascade Mountains, and the Olympic Mountains to Washington’s Wilderness Coast. The trail crosses three National Parks and seven National Forests and thousands of feet of elevation gain and loss. Currently there are several gaps in the trail that require hikers to find their own path through some difficult terrain. 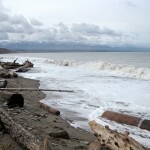 Nights can get chilly at the high altitudes and on the breezy Pacific beaches of the Pacific Northwest Trail. 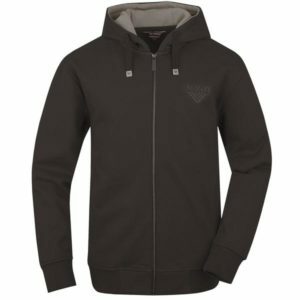 Try the BUSHMAN Melford men’s full-zip-up sweatshirt with hood to keep the chill away. This sweatshirt also keeps you looking good when you drop into the trail towns for that microbrew and burger you have been dreaming about for 100 miles. The nonstop hike from Montana to the Pacific Ocean begins near the Continental Divide in Glacier National Park and travels west through Montana, Idaho, and Washington before reaching the Pacific Ocean near Cape Alava on the coast of Washington State. The trail has been rated as one of National Geographic’s top 100 hikes. Currently only a few dozen intrepid hikers a year attempt the entire length, so you are guaranteed privacy and bragging rights on this truly wild trail. After hiking all day on the hot trail, change into the BUSHMAN Teron Shorts when you get to camp or that beautiful alpine lake that is begging you for a swim. 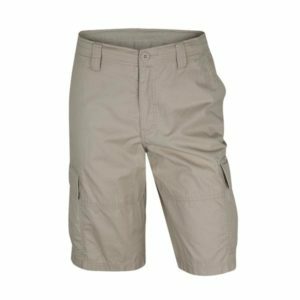 The lightweight 100% cotton shorts will feel great and the many pockets help you organize all your trail items. 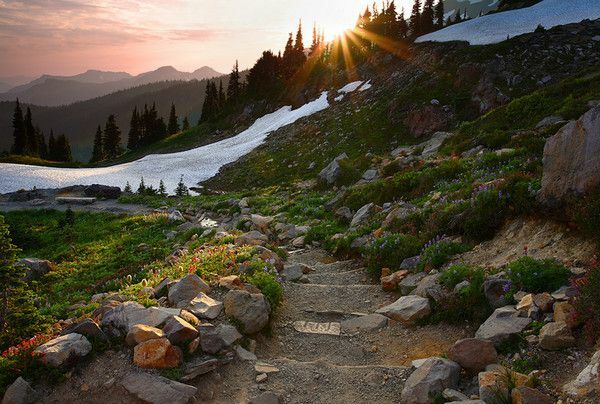 While the Pacific Northwest Trail can be a physical challenge, it runs close to many scenic mountain towns making resupply and a good meal closer than on some other trails. 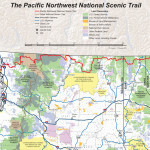 The Pacific Northwest Trail Association offers a detailed Re-Supply List – Towns and Resources map at their website.